What can I say, Ms. Vincent has done it again. 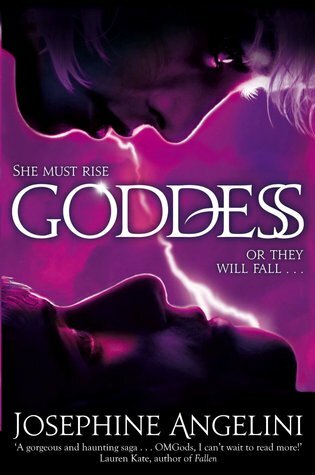 This is the penultimate book in the Soul Screamers series and it is just as epic as previous instalments, maybe more so. So much has happened since we first met Kaylee back in My Soul to Take. I never, in a million years, would have guessed at the direction that this series would take. And while I will be truly saddened to close the curtains on this series, I can't wait to see how Rachel will conclude such an amazing series with so many well loved characters. 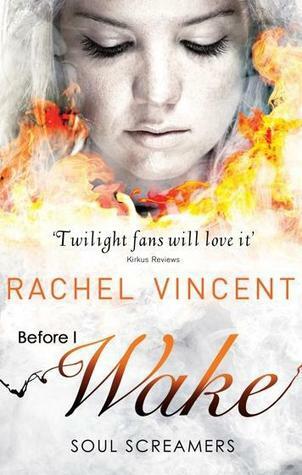 Before I Wake had me thinking about my own mortality, during Kaylees moments of reflection, and I realised how much Kaylee gave up when she agreed to become a soul reclaimer to ensure that Nash wouldn't be charged with her murder. And it's this selflessness and virtue that attracts Avery to her soul now, she is the polar opposite of him and he can't understand that. It seems things turned out well for Kaylee in the end though. But did they? I can't be sure. You can come to your own conclusion after reading. When Kaylee is awake at night, no longer needing to sleep, and she dwells on her future, I found eternity sounded quite daunting and scary, even with the prospect of Tod by her side. I felt really bad for Nash. He is still madly in love with Kaylee, and to have to see her with Tod must be one of the hardest things ever. I found him to be really annoying in If I Die, but that was mostly the demon's breath addiction. My heart just went out to him, even though he has Sabine, who I have kind of a love/hate relationship with, she's just not enough for him. But as bad as I feel for Nash, I just can't help but be totally happy for Kaylee and Tod. Some of their scenes together are just so sweet. He is amazing and he is crazily in love with Kaylee. Her really bright spark on a dark horizon. With the prospect of "living" forever and watching everyone she loves die while she lives on, never ageing, never changing, and Avari still trying desperately to gain her soul, now threatening to kill people she loves if she doesn't hand herself over, Kaylee needs something really good in her life, or unlife, as the case may be. A lot of doom and gloom, but also some happy moments and some awesome moments. The usual wit and sarcasm that appears in these books and the awesome characters, all mash together to make this an awesome read that I just couldn't put down. "I wouldn't trust the two of you to hit the pot when you piss"
"Careful, pot," Tod said. "Someone might notice your resemblance to the kettle." so I probably shouldn't have read this since I haven't started this series at all lol, but it's OK. since I've never read it I don't know these characters so It'll still be exciting to read about their journey! Fantastic review, Suzanne! I have always enjoyed this series so can't wait to read this book. Tod won me over a while ago but I can understand why you might have felt bad for Nash. I imagine I'll feel the same way, but I do prefer seeing Tod and Kaylee together. :) I'm very excited for this book now!